It doesn’t just watch your home. It helps out there too. 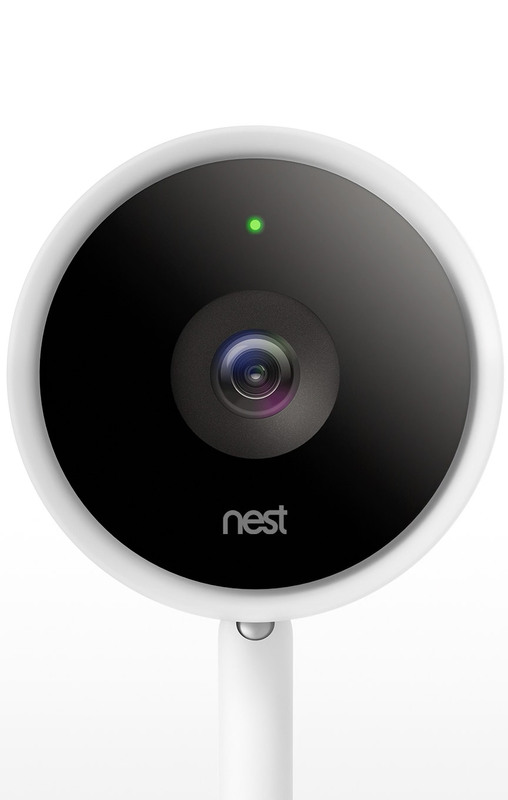 Nest Cam IQ has serious processing power, so it can do things like tell a person from something else. And even recognises faces with Nest Aware. What do you get when you combine a 4K sensor with HDR and intelligent imaging? Supersight. It’s a sharp new way to look after your home. Speaks loudly and has a big microphone. HDR and invisible infrared LEDs illuminate the whole room evenly. So whether it's pitch black or low light, pixels stay bright and crisp. If someone breaks in, you want to know straight away. Nest Cam IQ plugs into the mains, so it won't run out of battery before it sends an alert. Missed an alert? See key photos from the past three hours of activity in the Nest app. Compared to Nest Cam Indoor, thanks to 802.11ac Wi-Fi and a 2 x 2 MIMO chip.